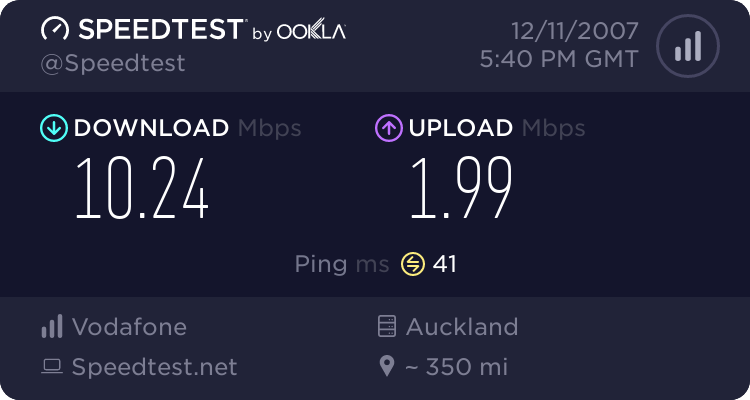 Is anyone else experiencing low speed on their 10Mb connection in Welli? 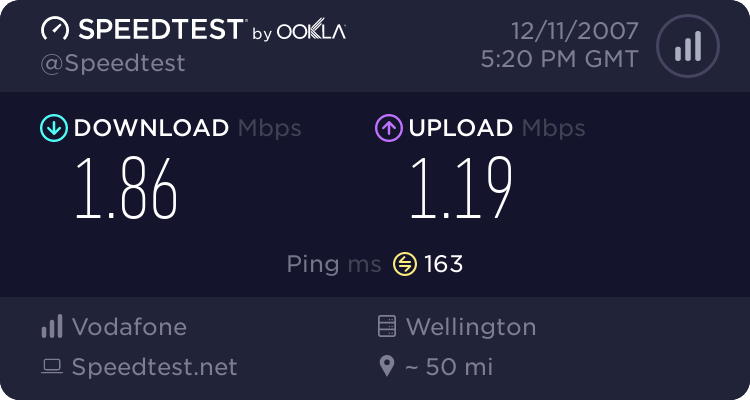 Mine has been hovering below 2000kb since i started checking at 6pm last night..
Never do a speedtest using the welington server. Because there is not a peering agreement between TCL and CityLink, you will NEVER get a good result. As you will be routed overseas before coming back to their server. You may notice slower speeds in wellington, but hopefully with the upgrades it should be more stable. However the nodes are pretty crowded, so i dont know if even that will fix the issue. Horace: You may notice slower speeds in wellington, but hopefully with the upgrades it should be more stable. However the nodes are pretty crowded, so i dont know if even that will fix the issue. Part of the TCL upgrade has involved increasing the backhaul on all nodes to support the 25Mbps service and future IP based services so node congestion will be fixed. Well first they are going to split the TV of the Internet Nodes then look at increasing backhaul later.